Palm shortening is made from palm oil (which is sourced from palm trees). There are other types of shortening, aside from Palm Shortening. Any semi-solid fat that comes from vegetable oil can be referred to as shortening. Shortening is a popular ingredient when making baked goods like pastries, bread, cakes, etc. Palm shortening frosting can also be made with this ingredient. Using palm shortening will improve the texture of these goodies and make them light and flakey. While shortening is not really widely used in deep frying, it can still serve this purpose. After all, it’s still made up of oil. 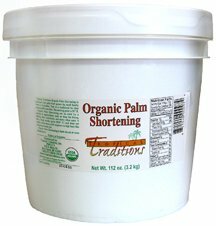 In its unprocessed state, palm shortening is composed of saturated and unsaturated fats. When in its processed state, however, the unsaturated fats are removed from the composition so that only saturated fats remain. This is done to produce firmer texture in cooked food. It’s stable as an ingredient and has a long shelf life. It doesn’t contain trans fat. It’s odorless – it will not affect the smell of the finished product. It’s colorless – it will not affect the color of food. If you want your recipes to have a hint of taste from the shortening, you can use coconut oil as the substitute for palm shortening. I will explain each of the ingredients listed above so that you will know which is the most appropriate one to use in your recipes. Coconut oil is sourced from coconuts – it’s high in vitamins, minerals, and antioxidants. It is also antibacterial, anti-viral and anti-inflammatory. Its texture is semi-solid at 76 degrees Fahrenheit or lower. However, coconut oil turns into the liquid when placed in a warm environment (in this case, it can be compared to butter). Make coconut oil as your number 1 goes to ingredient when looking for a substitute for palm shortening. This type of oil is very nutritious and it’s a healthy type of fat. If you’re on a Paleo diet, coconut oil would also work for you because this is not sourced from animals. As for the taste, coconut oil tastes good (it tastes like coconut). But if you don’t want your food recipes to taste like coconut, then don’t use this oil – because it’s really quite flavorful and you won’t be able to hide its taste. Coconut oil can also be used in combination with butter as palm shortening substitute. You can use equal amounts of coconut oil and butter or use just a little more butter than the oil. So, to replace 1 cup of palm shortening, you can use ½ cup of butter and ½ cup of coconut oil. You can also use about the ¾ cup of butter and about ¼ cup of coconut oil. Butter is a dairy product. While it’s mostly sourced from cows, milk from other animals can also be used (sheep, goats, yaks, and buffalos). If you’re on a Paleo diet, substituting butter for palm shortening will not work for you. Know that the texture of baked goods can somewhat change when you replace palm shortening with butter. 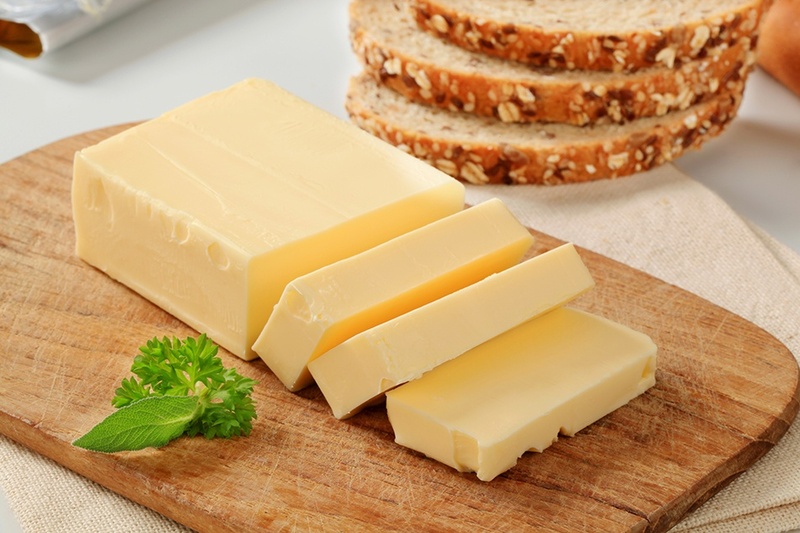 Remember, shortening is made of 100% fat ingredients, while butter is only made of 85% fat (the other 15% is made of water). In delicate recipes, the final result can be noticeably soft when butter is used as a substitute for palm shortening. Therefore, normally chewy recipes will somehow reduce in chewiness and become a bit soft instead. If you’re going to use butter to replace palm shortening in making pie crust recipes, you will notice that the crust won’t be as flaky as when shortening is used. If this is fine with you, then go ahead and use butter instead (there will be a difference in flavor as the crust will taste buttery). Note, too, that replacing palm shortening with butter in the baked good like bread and cakes will be hardly noticeable (as far as texture is concerned). As for the taste, we all know that butter can make any recipe richer in flavor and more delicious. As mentioned in the section above, you can combine butter with coconut when using these ingredients as replacements for palm shortening. If you are adventurous in the kitchen, you can try mixing any of the palm shortening substitutes in this post to see how these combinations will affect your recipes. Margarine is a non-dairy product, but it looks and tastes like butter. You shouldn’t be surprised that it somehow assumes the properties of butter – because it was invented as a substitute for butter. Butter and margarine are actually entirely different when it comes to ingredients. While butter is made from the butterfat of milk, margarine is mainly comprised of refined vegetable oil and some water. Some brands of margarine can also contain milk (for that extra creamy taste and texture), but not so much. 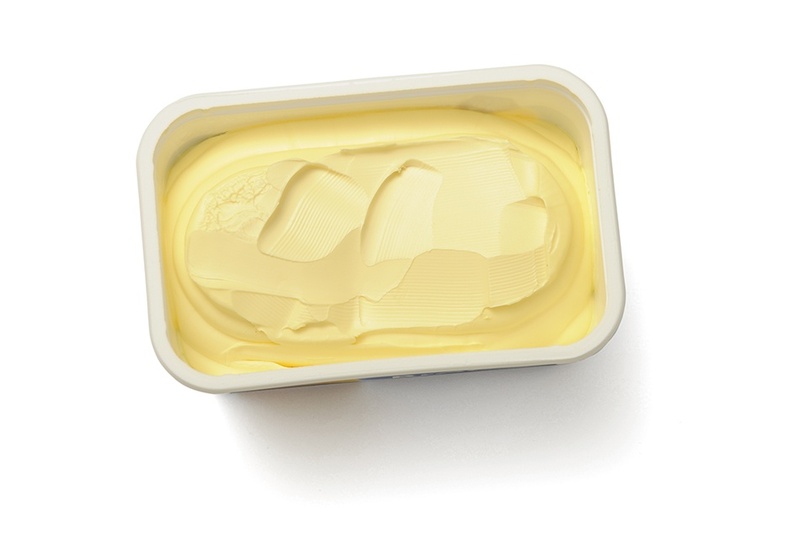 There’s still an ongoing debate as to the health implications of consuming margarine. Health advocates argue that low-grade types of oil are used in its production (that’s why it’s cheaper than butter). Using food coloring to make margarine look more appealing is also an issue. In the end, it’s up to you if you still want to use margarine as one of the ingredients in your recipes. But yes, it can be used as a substitute for palm shortening (just like butter). 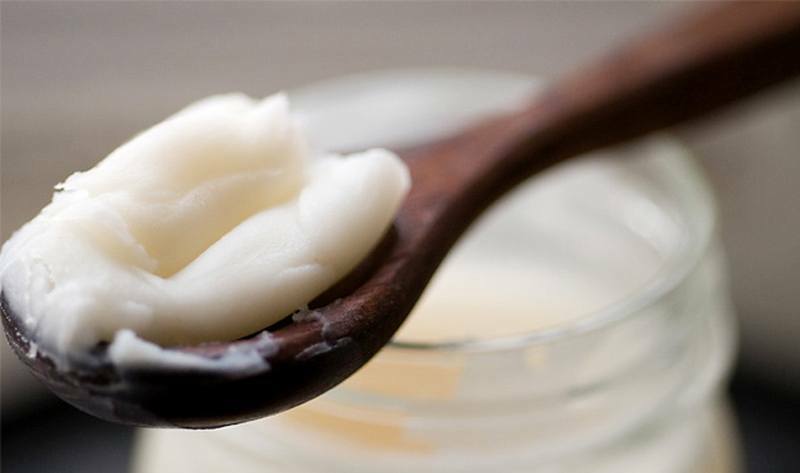 Lard is a cooking fat – and it can be used as a substitute for palm shortening. However, know that this is sourced from animal fat, so it’s not for people on Paleo diet. While this is a very convenient option, I advise against it. What you’ll get in the grocery store is hydrogenated lard – and this is definitely an unhealthy type of lard. Hydrogenated lard contains trans fat which is very high in cholesterol. As for the taste, commercially-made lard products are not as good as homemade lard. Use ﻿﻿a grinder﻿﻿ to grind the fat or just cut them up into small pieces. Cook the ground fat (or chopped pieces) in a nonstick cookware on low heat. Once the fat has liquefied, the resulting substance is called lard. Remove from heat, strain the mixture, and transfer to a non-plastic container. Make sure that the fat is not burned during the process of cooking as this will make your lard taste bitter. Back fat – This is the fat found under the skin of pigs. Leaf fat – This fat is found inside the abdomen part of pigs. Since leaf fat is less pork-tasting than back fat, this is often used in baked goods. I suggest you also use leaf fat in your recipes (as much as possible). Different types of shortening have one common characteristic – all these fatty compounds become semi-solid or solid when it’s cold. 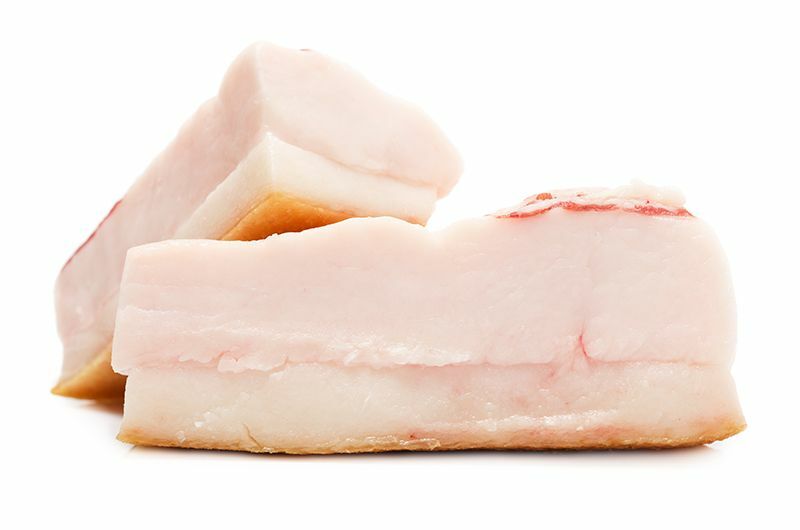 Pork fat is a type of shortening – you will observe that pork fat solidifies when cold (such as when it’s put in the refrigerator). In pastries, shortening ingredients are used so as to make baked goods soft, chewy, or flakey (not elastic). So, it’s really a needed ingredient in such recipes. When looking for palm shortening, you can consider any type of vegetable shortening because they all share the same properties with palm shortening. For people who are concerned about social and environmental issues (and rightfully so, may I just say), getting product from Tropical Traditions can be one of the solutions. You see, this Company is certified by ProForest – so, their products meet certain criteria that make them environment-friendly and people-friendly as well. You wouldn’t feel guilty when you purchase Tropical Traditions Palm Shortening because you know what’s going on behind the scenes. You can, therefore, maintain your integrity while getting quality products for your recipes. 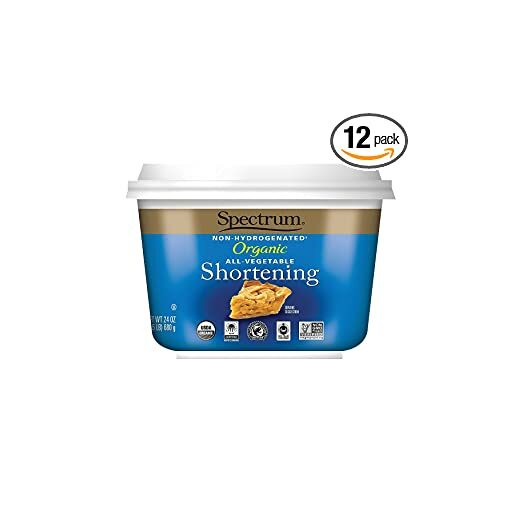 You can use Spectrum All-Vegetable Shortening as replacement or substitute for palm shortening because it’s also a type of shortening. Even people on Paleo diet won’t have any problem with this product because it’s plant-based. The Spectrum Shortening, in particular, is a non-hydrogenated product. It also contains zero trans fat. And most importantly, it’s certified organic – so, it’s also good for your health. The Company that makes Spectrum Naturals Organic Shortening and Spectrum Palm Shortening source their materials from farmers in Columbia. These small family farmers harvest palm tree products in an environmentally friendly manner. You can buy palm shortening in grocery stores and you can also buy this product online. 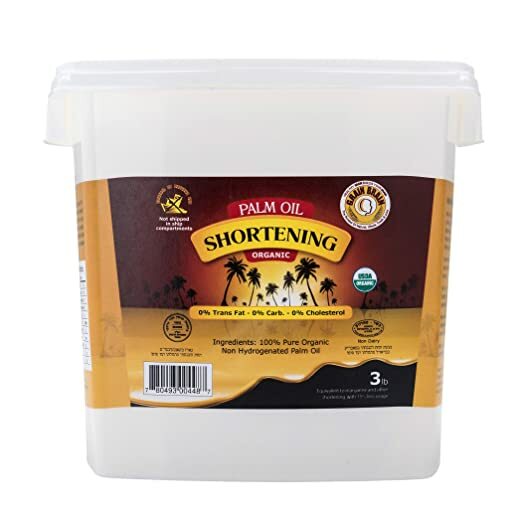 Click here if you want to see your options on palm shortening products from Amazon. 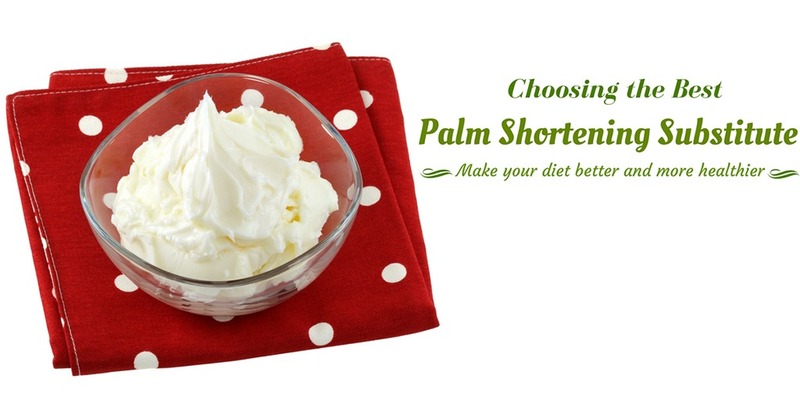 There you have it – a wide range of palm shortening substitutes to choose from. You will surely find the best palm shortening substitute for you – whether you are just concerned about your recipes, the environment, or the social implications of using palm tree products. Do let me know in the comment section if this post has been helpful to you. And don’t forget to share it with you friends so that they can benefit from the information here as well. If you are a person who love butter or cheese, you may interest in "Ricotta Cheese Substitute".